We offer inspirational, child focussed activities within our outside areas. The outdoor setting and associated activities provide an alternative learning environment which complements the indoor teaching space. And generally enjoying the great outdoors. The Nursery feels that these positive risk taking activities allow children to grow in a supervised outdoor environment. We believe behaviour can be improved indoors and at home if children are given the ability to learn and express themselves outdoors. 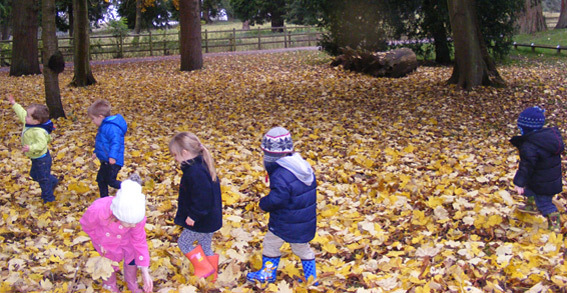 The nursery feel that’s learning and being outdoors is vital for children’s development.